What is the first thing that comes to your mind when you hear the number 10 related to Football? Do you think of Pelé or Maradona, or are you a youngster who thinks of Messi instead? There was a time when football used to be a sport played for love and talent alone. 11 players on the team were rightly numbered from 1 to 11 according to their starting positions on the field. The goalkeeper being the #1 to the striker with the #11 jersey. 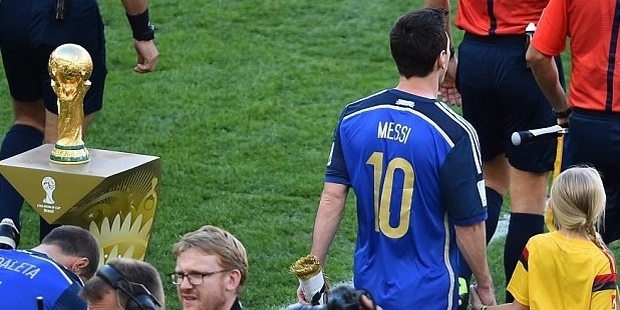 The #10 was given to the best all-rounder who could provide support to both midfielders and the main strikers. However, as the days progressed, and people’s awareness grew of both the sport and the people playing it, it became somewhat of a talismanic number to wear a preferred numbered jersey. The fans, as well as the players, grew attached to it and thanks to the numerous superstitions of sportsmen, they seeped into the very fabric of the game. Just like cricketers/baseball players and their often unhygienic attachment to a certain pair of socks or gloves ( without which they’re apparently unable to perform well ), footballers became more and more dependent on the number printed on the back of their jerseys. Looking back at when this reverence of the #10 jersey started, it had to be the brilliance of Pele and Maradona that started this madness. They were undoubtedly two of the greatest footballers to ever grace this planet, and they both had just the one thing in common other than the exceptional football skills: the #10 Jersey. When Brazil had forgotten to assign numbers to the players in the World Cup, FIFA did it instead. 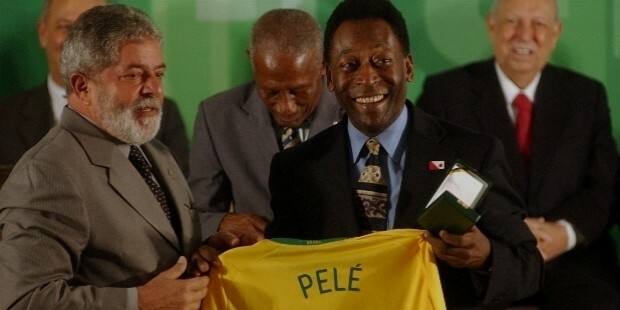 And that is how all-rounder Pele got his no.10 Jersey. 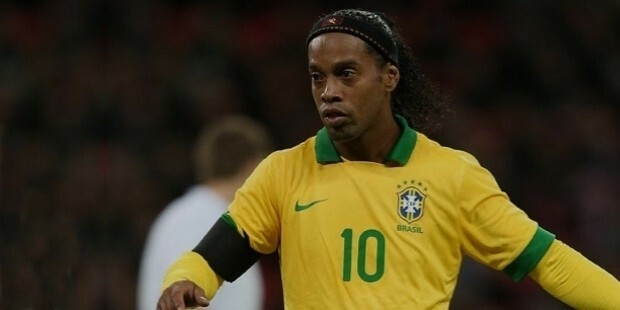 He scored 77 times for Brazil in 92 appearances and won three world cups for Brazil. It’s no wonder he is “The” Legend. Controversial, yet stunning, it was hard to take one’s eyes off the diminutive player once he got possession of the ball on the field. He is till date one of the most skilled controllers of the ball. Or as the world knows him, Zinedine Zidane. The Algerian-born, French footballer. He scored twice in the 1998 World Cup final against Brazil helping France win the title, and in total scored 31 goals in 108 appearances for France. A player more loved that Ronaldinho is hard to find. His skills and his smile took up the entirety of the field when he was on it. He won the FIFA player of the year award in 2004 and again in 2005. 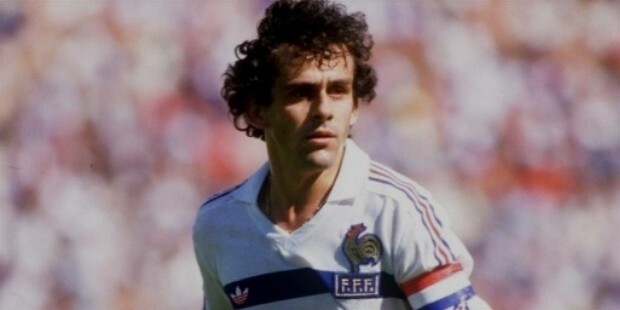 This Frenchman won the Ballon d’Or three consecutive times and now is the UEFA president. 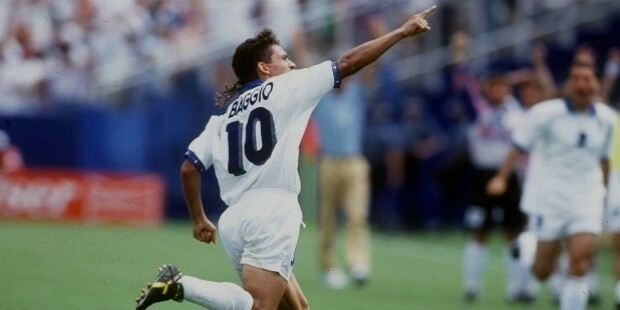 When he was the attacking striker for his country, Baggio played for Italy in 56 matches, scoring 27 goals, and is the fourth-highest goalscorer for his national team. He later was the Technical Director of FIFA. 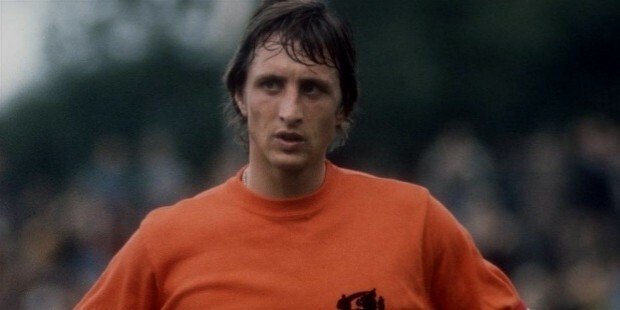 The Dutch footballer who was contemporary of Pele and he still managed, as a player to win the Ballon d'Or three times, in 1971, 1973 and 1974. He scored 33 goals in the 48 matches he played for his country. He is most capped German player of all time and holds the record of having played the maximum number of World Cup matches. 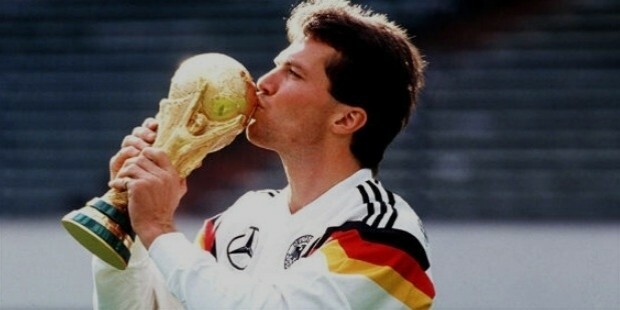 He participated in 1982, 1986, 1990, 1994, 1998 World Cups and won the 1990 World Cup for West Germany as their Skipper. Matthäus was named the first ever FIFA World Player of the year. 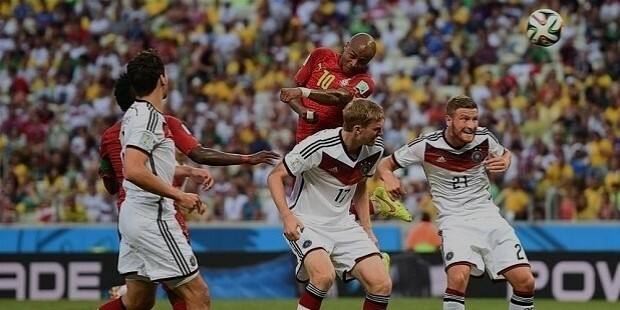 He went on to score 23 goals in 150 matches for Germany. The “Non-flying Dutchman” to his fans, Bergkamp is widely considered to be one of the greatest strikers of the century. 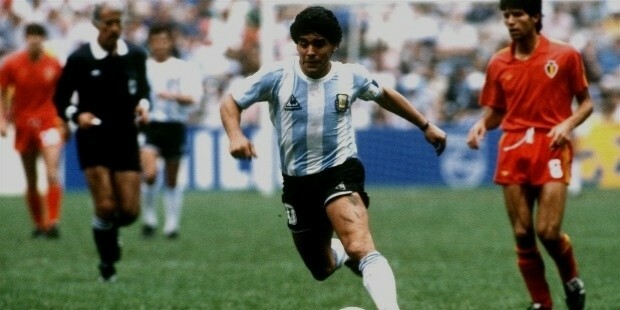 He scored 37 goals in 79 matches that he played for his country. The name is not often heard these days, but the legend of this man continues to live on years after his performances. A Hungarian footballer who scored 84 goals in the 85 matches he played for his country, has every right to be on top of a lot of lists. Not to mention his outstanding record of 577 goals in 588 matches in his club career, that made him a record holder and stay that way for a long time. And then there are the contemporary players (as of 2016), that have made the jersey no 10 shine all the brighter. 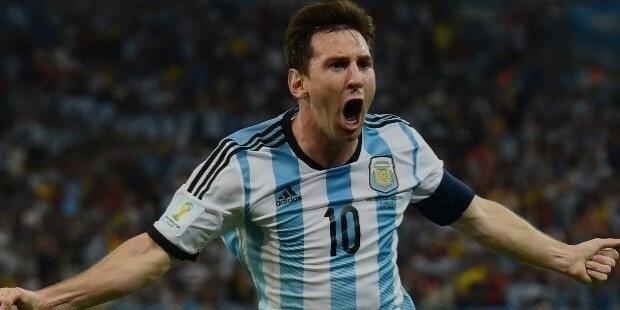 Probably the greatest footballer on the field right now, Lionel Messi, the Argentinian Captain has already scored a huge number of goals for his club Barcelona, as well as having been one of the strongest presence on the field for Argentina. He has scored 50 goals from 107 matches for his country. Fans of Italian football will never forget this legend. 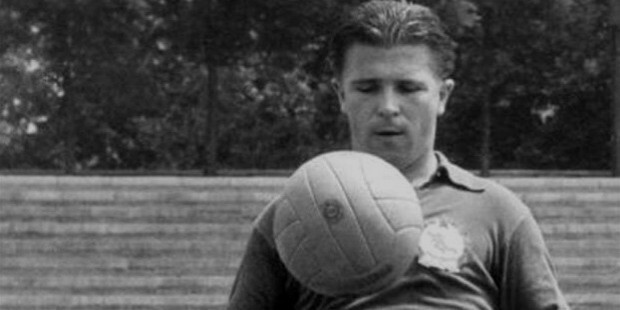 He is one of those rare one club men and is AS Roma’s all-time leading goal scorer. He also won the world cup for Italy in 2006. Such a great legend he is, that his club has decided to retire his Jersey number when he leaves the club. 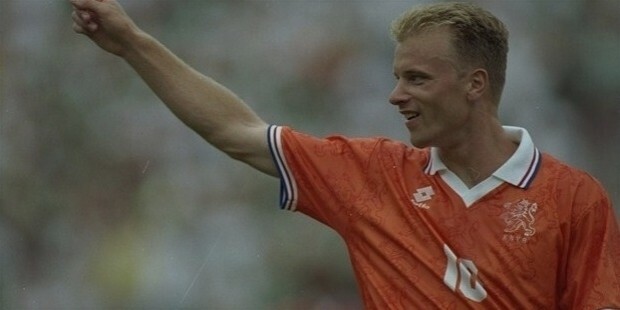 The Dutch midfielder who was the unlikely choice for the #10 jersey, as they are usually given to the most probable goal scorers, but no one can dispute the fact that he has earned it, and lived up to it. He has scored 29 goals from 121 matched for the Netherlands till date. 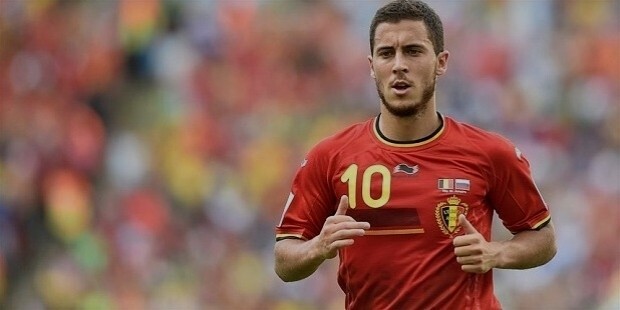 This Belgian International is known as the Wonderboy, and quite rightly so! He has already scored 12 goals in 60 matches for his country, and he is only 25 years old. His club record with Chelsea is also stellar where he has scored 42 goals in 137 matches for the club. 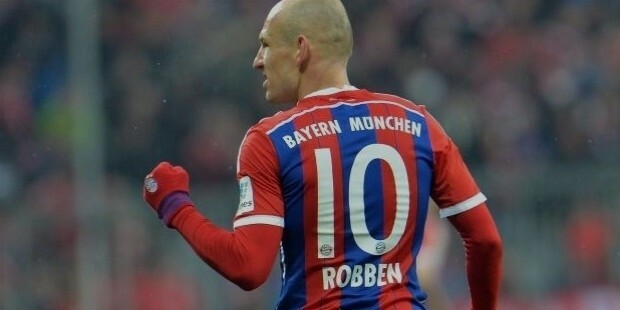 Although he wears the #11 jersey for his country, he is the proud holder of the #10 for his club FC Bayern Munich. He has scored 30 goals from 88 matches for Netherlands, the team of which he is the captain, he has also scored 77 goals from 142 games for his current club. The enigmatic, arrogant and vastly talented Swedish captain had everything a # 10 player needs. He is known for his agility and flexibility even though his height works against him at times. He has scored 62 goals in 112 matches for his country and a total of 388 goals in 675 games in his club career. To think that the legend of # 10 jersey has stayed within the football world will be a gross mistake. Let us look into some of the other sports as well. This Indian batsman that needs no introduction. 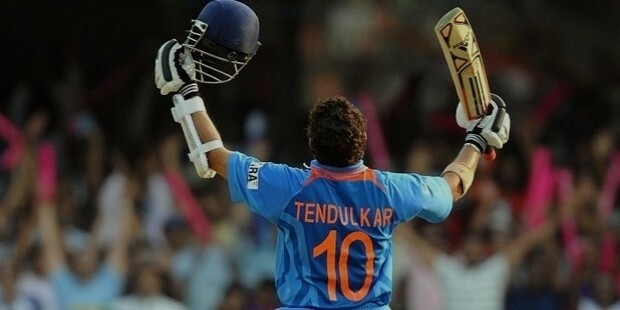 The little master has been appropriately honoured by the #10 jersey when numbered jerseys were introduced in Cricket. The Pakistani batsman nicknamed “Boom Boom Afridi” holds the record for the maximum number of sixes he hit in his career. 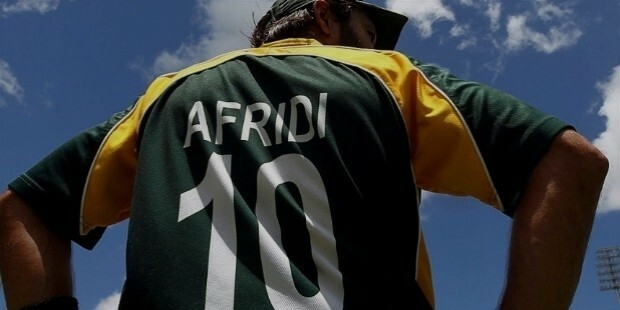 A wizard with the ball as well, he wears the #10 for Pakistan cricket team. 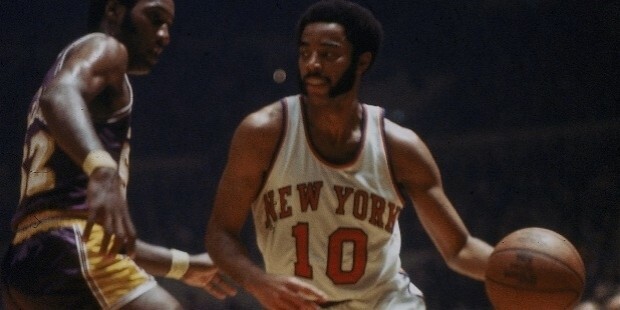 The legendary basketball player that prompted his club, the New York Knicks to retire the # 10 jersey after he left was a name everyone who knew anything about basketball loved and respected. Be it superstition or sheer talent, we have seen quite a lot from players wearing that jersey and we will continue to expect to do so. Here’s hoping that there will be more to come, and we will see outstanding performances from people currently wearing that jersey that have started to make their marks slowly in their respective fields, like Wayne Rooney, Mesut Özil, Neymar Jr.
Sergio Agüero, Cesc Fàbregas, James Rodriguez, and many more upcoming stars.